The Olympic Men's Singles competition has been decided and a new history was created. Ma Long is now the fifth Grand Slam champion while Zhang Jike settles for silver. As the Olympic Team competition commenced, Ma Long and Zhang Jike proved that there is no bad blood between them. Both of them, together with Xu Xin, started off with an imposing sweep against Nigeria. Even before the Games started, the head coach of the Chinese Team, Liu Guoliang has been expressive about pressure in the Olympic Games. “Our pressure for this Olympic Games is extremely big. Its the largest ever,” said Liu Guoliang. China has already established a very strong presence in the sport. Since 2008, their men’s team has already practiced sweeping all the golds. So, what’s with the pressure? Liu Guoliang answered that pressure comes from all aspects, not just from the expectation of the outside world but also from the demands of the team. Of course, pressure also comes from upholding the glory of the Chinese Team. “People who don’t understand us will think that it is easy. Actually, the moment that all people would think that there are no problems, that’s the time pressure becomes larger,” the head coach added. Last August 11, after the penultimate round of the Men’s Singles, Liu Guoliang felt relieved from pressure knowing that he has already completed his mission. “Whoever wins will still create a new history,” he said. The new history created was the fifth Grand Slam champion in the name of Ma Long, who imposed his authority and power over his compatriot and also a Grand Slam champ, Zhang Jike in four straight games in the highly anticipated Olympic finals. Despite the reassuring feeling of knowing that both of his players sealed the final seats, Liu Guoliang was aware that there is a certain hint of cruelty in such situation. “It is a kind of happiness, and its also cruel,” He admitted. 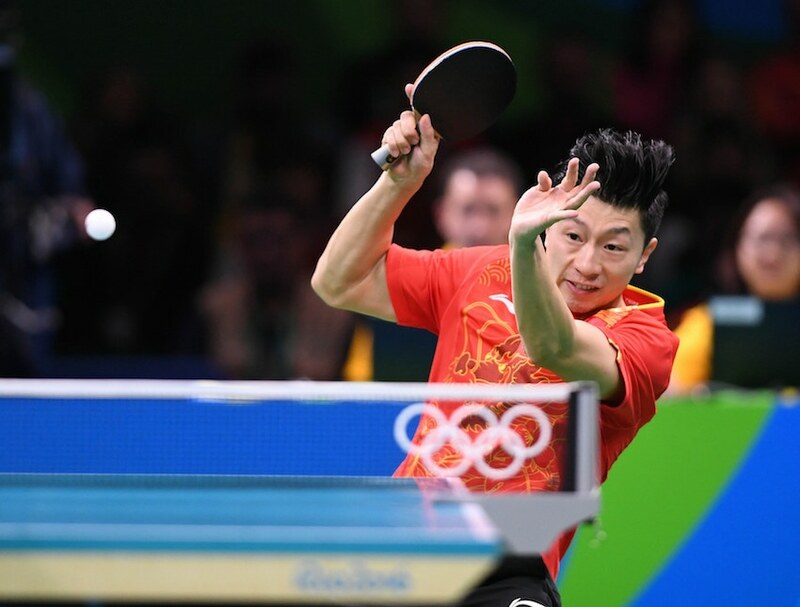 Following the Singles, the Olympic Team competition commenced and the Chinese Men’s Team achieved a successful start, scoring an imposing sweep over Nigeria. Xu Xin pulled off a 3-0 against Segun Toriola while Ma Long gave away one game to Quadri Aruna in 11-6, 11-3, 5-11, 11-2. Zhang Jike and Xu Xin partnered for the Doubles and ended the round to their favour in 3-0. 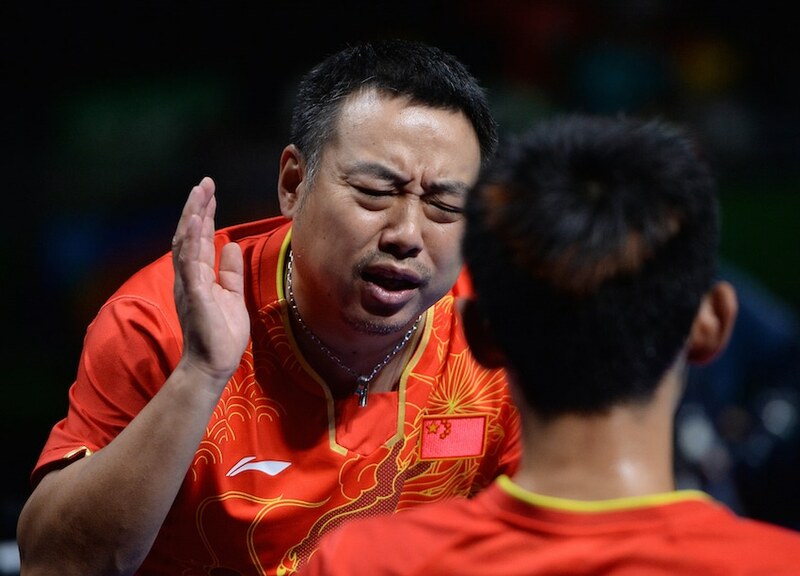 He also clarified that he and Zhang Jike are prepared for this situation and they will continue to support each other in the team competition. China will face Great Britain in the quarterfinals. It is worth nothing that the latter surprised the French Team in an action-packed opener. Would Liam Pitchford and company be able to come close to challenging the defending champions? Stay tuned with the latest results here.